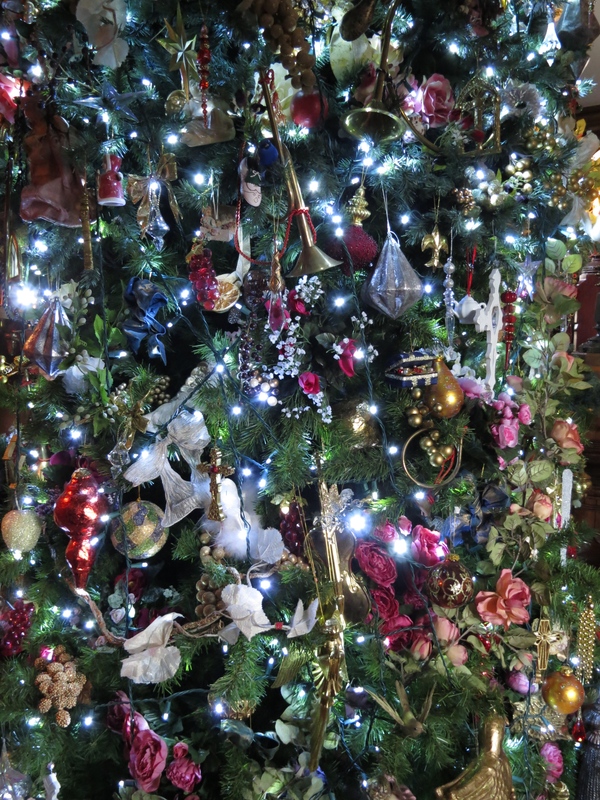 Beautiful Christmas – Before You Start Decorating « How Do You Measure 525600 Minutes? I took Belle to doggie daycare for half a day yesterday and took advantage of the time to start decorating our house for Christmas. I got five trees up, including the 20 foot foyer tree; not lit or decorated– but they are up– and that’s a start! I want to share some of my experiences and some tips on how to make the most out of your Christmas decorating in a few posts over the coming weeks. I know it’s not Thanksgiving yet and even if you don’t plan on starting until then; it’s not too early to shop or at least begin thinking about what you want to do this season. Whether this is your first time decorating or you consider yourself an old pro, I hope you find some ideas that will help you make the most out of your holiday decorating. Budget. What’s your budget? 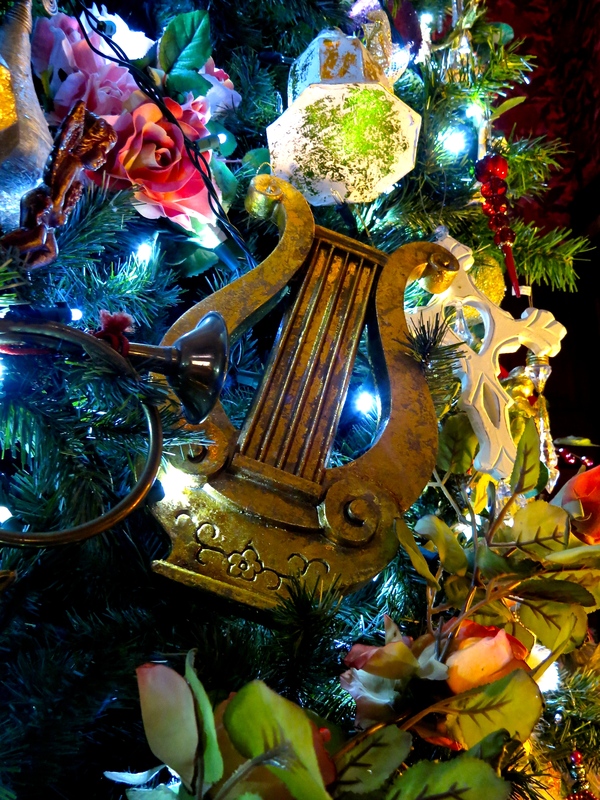 Are you recycling old decorations or purchasing new for the first time? How can you save money? Storage. Where are you going to store all your decorations after the holidays? Time. How much time do you have to decorate AND take it all down? Size. How can you make the most of what you have? Is there such a thing as too much? Design. Do you have a vision in mind? Don’t know exactly where to start? So, those are the five big things you should decide before anything else. You should consider these points in that order too. It’s great to have ideas first– but if you don’t ultimately follow these steps, you could find yourself coming up short down the line. Budget. If you have an unlimited budget then you can skip this step. Most of us are trying to make the most of what we have; and believe me, it’s easy to go way beyond what you intended to spend if you’re not careful. Something that may start out as a simple idea can snowball. Before you know it, you’re either out of money or over extended. Example 1– Trees need a lot of decorations and lights. The bigger the tree, the more you need. I always find if I think I need 6 strings of lights– I end up needing 8 or else I’m taking them all off and stringing them back on the tree again. At least with the ornaments, you can re-space them if you run out. I’m not saying you can’t have a simple, elegant tree. I’m saying that it’s so easy to start and then find yourself needing much more than you anticipated. 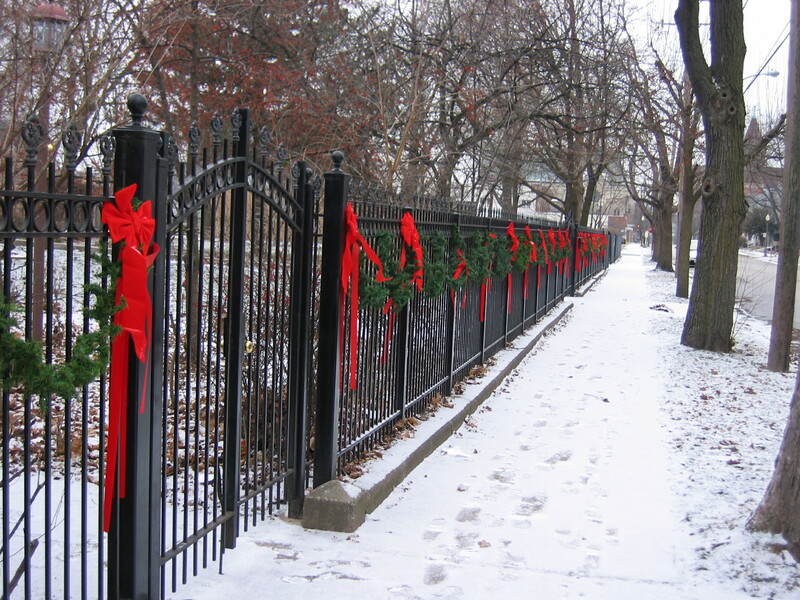 Example 2– Garland and swags. Yes, you can measure the areas you want to hang garland and swags and you can get a pretty good idea of what you need. Don’t be surprised though, if you don’t anticipate the extra you’ll need depending on how you drape it. I reuse whenever possible but garland doesn’t last forever. I’ve also noticed you can’t always find suitable garlands readily available form season to season. Prices have also doubled and even quadrupled in some stores this year. Three ways to save money are: 1) Start early and watch for sales. 2) Don’t forget to check dollar and discount stores! You’d be surprised at what you can find. 3) Maybe go simpler this year and then make the most of the clearance sales after Christmas for next year. If you wait too long, most of the good stuff will be gone. Don’t expect to find the shelves are still full after Thanksgiving. Trendy items and single color lights (even red or green) tend to sell out early. A good rule of thumb is: What ever you expect to spend… double it. What ever you can afford to spend, cut it in half and start there as your budget amount. Storage. Many people make the mistake of not considering what they are going to do with their decorations when they come down. You may not have room to store a large artificial tree and all the trimmings. You may have to go with a smaller, compact option. Another alternative is to use a live tree but that might not fit in your budget year after year. Know how much space you can afford to dedicate to storing your decorations before you buy– unless you expect to throw out or donate them when they come down. Storage space isn’t so much an issue for me, the organization of it all has been a huge challenge. This past year, I actually took the time to separate out my decorations in containers and label them with the contents. This helps so much when you start to decorate the following year. Don’t skip the labeling part– You may think you’ll remember what’s in that box on the top closet shelf and a year later– your memory is gone. I label the top and at least one side of each container and make sure I store them with the label side out. Proper storage does take a little extra time but not as much as you might think. It definitely save you time later on. WARNING: I know it may seem obvious…. Don’t store items that can freeze or melt in an non-climate controlled area like the attic or an unheated garage. Candles and snow globes might not look the same when you open them the following year. One more thing– when you take your tree down: It may not seem important at the time to separate out your ornaments (if you use sets of things) but do it. When you open the box the following year, you’ll be glad you did. Time. Last year was the first year I wasn’t still decorating Christmas Eve. Biting off more than I can chew is an art I have mastered and a bad habit to break. I highly recommend starting early if you plan on a lot of decorating and think you might run into a time crunch. Procrastinating can also create a holiday stress load you don’t need. Same as with your budgeting: Whatever time you think it will take, double it. Whatever time you have available, cut your time expectations in half. Start there and if you complete everything, you can always add more later. We used to host the same group for Thanksgiving and Christmas and Michael always preferred that Christmas wasn’t up for both holidays. This created a big time crunch because of the amount of decorating I do every year. Some years I waited and some I started early depending on what the schedule looked like. My preference is to have everything up by Thanksgiving so the time before Christmas is open for holiday fun. 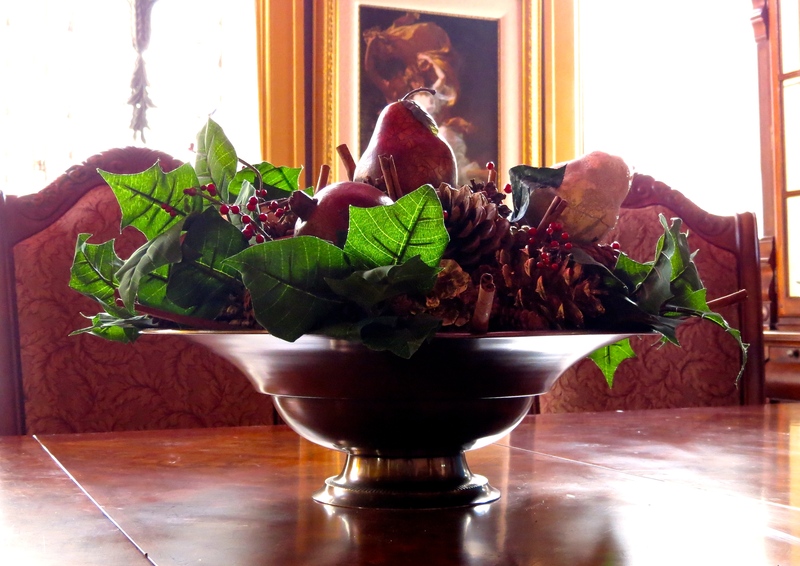 By all means, allow yourself enough time to enjoy decorating! For me, it’s one of my favorite parts of the holiday season. Don’t forget, you have to take it all down! This is my least favorite part. It takes time. You may want to leave it all up a few extra weeks to enjoy, run out of time– and then find you’re still taking it down before Easter. Yes, that’s happened to me. Size. This directly relates to the other four considerations. How big do you want to go? How much room do you have for storage? How much can you afford to spend? How much time is it going to take? I love a fully decorated house, inside and out. But simple and elegant or warm and homey is great too. Know and stick to your limits! Design. Here’s a chance to show off a little of your personality. Your ideas and creativity here, are your only guide. I highly recommend considering 1) colors and themes and 2) whether your design will vary from room to room or encompass the whole house. Make sure, what ever you decide, compliments the everyday design of your living space. Complimentary or contrasting colors and be very effective. Using one or two primary colors can also give a very elegant and designed feel to your decorating. I love Christmas decorations so much, I’d be hard pressed to say I’ve seen a really ugly, tree, house or room. Christmas is the one time that I think its perfectly acceptable to be completely gaudy if you want to… It’s really your choice. 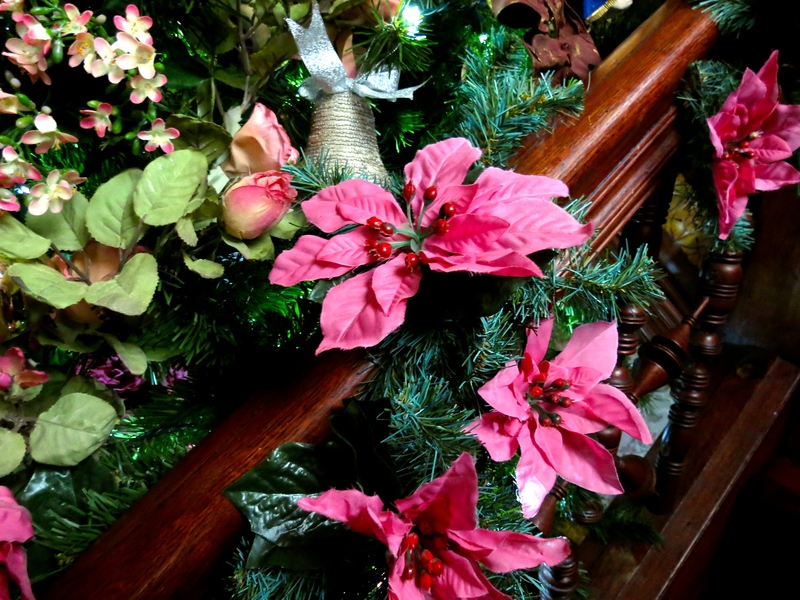 Christmas decorations can completely transform a space either good or bad. A tree that’s too big can make a room unlivable and hard to navigate. One that’s too small can look dwarfed. To compensate here, especially if storage is an issue: consider using a tabletop tree as room accent as opposed to a 4 foot tree stuck in a corner or behind the couch. 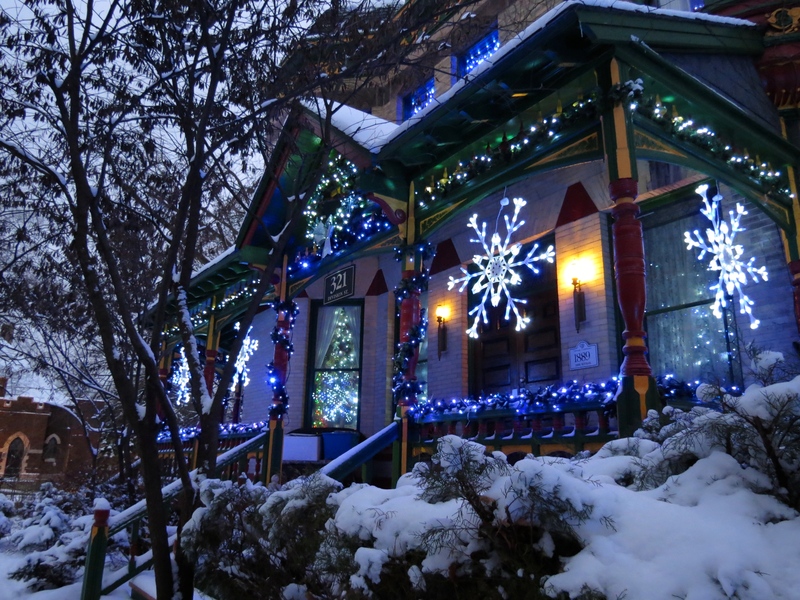 Colored lights are great — keep in mind you might not want blue or purple lights next year. White is classic, multicolored lights can be more casual and whimsical. Last year, for the first time in many years, I used the inexpensive glass ball ornaments (that have been around for ever) on several trees. By limiting them to a few colors, (gold and white, silver and white, etc.) and using a couple different sizes; I was surprised at how really beautiful they looked. It’s a very cost effective way to decorate, you can use them in groupings and arrangements as well, and if you have to get rid of them because you can’t store them– they are cheap to replace. I also love a traditional family ornament tree. Not only is it totally unique to your family but the sentimental value is priceless. That can be included in other decorating elements in your house as well. Saved treasures from your children’s, or your childhood, can be used for a warm, sentimental touch. I hope this helps some of you in getting the wheels turning! I’d love to hear from you and have you share your own thoughts and ideas. I’ll be posting more though the season. If you’re new to my blog, check out the archives from last November and December for some easy ideas and suggestions. By jlinamen1229 in Christmas, Family, Lifestyle, Saving Money, Uncategorized on November 15, 2014 .